Loving Large is a four week series that seeks to move people to action in their Christian faith. In a world that seems to run on money, greed, oil, power, etc., what would our world look like if it ran on the love of God? How can we infuse this world-changing love into our community and world? The series gives real opportunities for people to serve God and love their neighbor. It could possibly culminate with a church-wide day of service to the community. 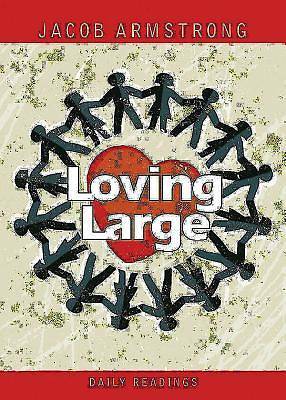 Loving Large is a four week series that seeks to move people to action in their Christian faith. In a world that seems to run on money, greed, oil, power, etc., what would our world look like if it ran on the love of God? How can we infuse this world-changing love into our community and world? The series gives real opportunities for people to serve God and love their neighbor. It could possibly culminate with a church-wide day of service to the community. The Daily Readings allow individual church members to bring the sermon message home and provide additional insights and inspiration until the next Sunday sermon.